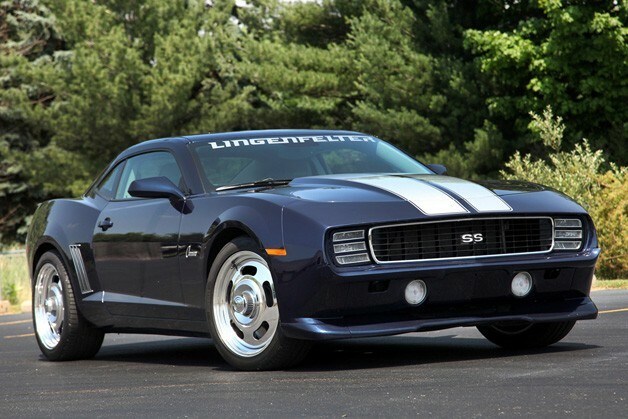 If by some miracle you find the fifth-generation Chevrolet Camaro too modern for your tastes, Lingenfelter has a solution. Behold the company's new Retrokits packages; full aesthetic workovers designed to give theChevrolet a few tweaks from the '69 RS playbook. Those include an entirely new front fascia, complete with a chin spoiler and the buyer's choice of either exposed headlamps or hidden RS-style units. Lingenfelter swapped the original wheels for pieces designed to invoke the rally pieces found on the original '69. From where we sit, we're not sure the look is an improvement, and the stick-on chrome dress-up for the rear quarter gills certainly don't do the machine any favors. Camaro owners may buy the Retrokits package for installation by a local body shop or have Lingenfelter do the work in house. Prices start at $6,850, not including the man-hours to bolt the bits in place. Ask Lingenfelter to paint and install, and you'll be looking at a sticker of around $8,550.